Our pets rely on us for everything from playtime to keeping them healthy. Without us, they would be left to fend for themselves, that is why it is important for us to treat them with a lot of love and stability in their lives. I am a pet lover, and that is why I feel it is essential for anyone thinking about the commitment of cat parenting to understand all that is involved, especially the food you choose for him. I have put together some helpful information in this article; Cat Food 101: How To Choose The RIGHT ONE! Please read the information in its entirety so you can get a full understanding of a cat’s health before you adopt. I hope you will find this information helpful. Is One of the First Three Ingredients Protein? Cats are “obligate” carnivores so they MUST have meat in their diet. In this section, I will be discussing some different types of cat food available to meet your cat’s needs. Cats can be finicky about their diet so making the right choice is important. You may be asking if wet food is better than dry. Maybe you want to feed your cat vegan food but you are not sure if it is healthy. Age of your cat can make a difference as well as his current health. I will discuss these differences with you along with the pros and cons of each one so you may have a better understanding of the questions you are asking. Wet cat food is a much healthier choice for your cat, and although it may be a little more expensive, the varieties offered will be a sure way he will not get bored and go on a hunger strike. Wet cat food offers a variety of tastes and is usually packaged for convenient portions so that the food can be fed as a meal. Wet cat food contains more than 65% moisture, and since cats don’t always drink a lot of water, they can benefit from the moisture in wet cat food. T﻿﻿﻿﻿﻿he food should not be left out because it will spoil, and when it is refrigerated it must be used within three days. Wet food is more expensive than dry food. Dry cat food may seem easy and convenient, especially if you are away all day, but there are some things you should be aware of before making this your final decision. A great mix of dry food along with occasional wet food can be a great treat for your cat, and you will be sure he won’t get bored with the same food every day. Dry food will not spoil in the bowl and can be left out all day for convenience. Dry food is less expensive than wet food. A bag of dry food will last approximately a month, so you don’t have to buy it as often. Dry food will keep your cat full during the day if you are away. Cats cannot chew very well so the dry food will not be a benefit to the health of their teeth. Dry food can dry out if opened after two months even when it is stored in a sealed container, causing it to lose the necessary nutrients your cat needs. Dry cat food means exactly what it says. Therefore, your cat will not get the water levels he needs with dry cat food. Dry food may contain higher carbohydrates due to the fillers added for freshness during longer storage in the warehouse. A vegan diet can be risky to your cat’s health. As mentioned earlier, cats are “obligate” carnivores. Therefore, they must have meat in their diet to give them the much-needed nutrients such as vitamin A, vitamin B12, taurine and arachidonic acid that they need. Without these necessary nutrients, they may acquire difficulties resulting from such things as liver or heart problems, and given the time they may develop hearing problems or skin irritation. Cats have been known to live longer with vegan food. Some chronic health conditions have also been reversed on a vegan diet. There are certain places that put taurine supplements in their vegan cat food. It is possible for you to make your own vegan cat food at home. There is not enough meat or taurine to satisfy a cat’s daily needs. Major health problems can develop with prolonged vegan diets. There are an ample amount of carbohydrates in vegan food that cats cannot digest. Some cats can contract urinary tract infections when consuming vegan food. Deciding on the type of food, you should feed your cat is only the beginning. Making the choice of where to purchase your cat’s food might be another decision, you will have to make. You will want to know if you should buy food from the grocery store or should you look for a premium or more healthy cat food at the pet shop. Just like anything else you purchase daily, there are pros and cons with buying cat food as well, and that is why I created this section for you. I hope it helps you in making your decision. We all try to save money when we can, but it isn’t always worth the few dollars saved when the product isn’t the quality we expect it to be. The following consist of pros and cons when helping to make your decision of buying cat food at the grocery store. Cat food purchased in a grocery store is lower in cost. Buying your cat food in the grocery store may be more convenient to buy at the same time as your groceries. It already has the needed ingredients portioned out rather than having to follow a recipe. Grocery store cat food is cheaper but contains lower quality ingredients. A higher risk of toxicity or contamination from the factory can be a factor when buying your cat’s food at the grocery store. 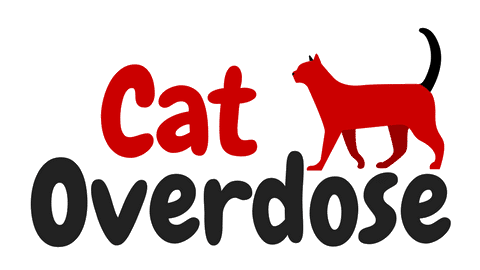 Since it is filled with more carbs to preserve the product longer, your cat may eat twice as much so he can get the proper nutrients and this can lead to obesity and other health issues that can cause high expense in vet bills and medication. Premium cat food may cost a bit more, but it is a much better choice for your cat, and in the long run, it will save you money. Premium cat food contains more natural ingredients that are needed daily for your cat’s health. He will not have to eat as much to get the nutrients he needs, therefore saving you the expense of vet bills and medications. Premium cat food can be more expensive than grocery store cat food. Premium cat food has to be purchased at pet stores causing this to be an inconvenience at times. By now you realize that feeding your cat healthy food is the better choice for many reasons. Healthy cat food can lengthen your cat’s life span. Healthy cat food can be essential for health problems. Healthy cat food can cut the expenses of unnecessary visits to the vet. Healthy cat food can be more expensive. Healthy cat food is not always convenient to find in every store. Healthy cat food may not be as appetizing to your cat as the less healthy cat food may seem. You may be one of those people that prefer to go the safe way and make your own cat food. This is a good idea for someone with the time, but you must be sure you are using the correct and proper amounts of ingredients to fulfill your cat’s healthy needs. Homemade cat food can help to prevent illness and disease. You can decide what ingredients to include when making your cat’s food. If you make your cat’s food, it can serve as a positive nourishment in treating certain diseases and illnesses. Making your cat’s food can be very time-consuming. It can be difficult to give your cat the exact proper nutrition amounts when making his food. It can be difficult to get a finicky cat to enjoy homemade food. Many things need to be taken into consideration when choosing the right food for your cat. No two cats are ever the same and with that in mind, you need to know your cat’s needs. You need to understand that your cat’s age, body condition, and health are all critical in your decision, all while factoring in your budget. I put the following section together with all that in mind and hopefully it will give you a better understanding when choosing which food is the right food. I would encourage you to talk with your veterinarian before making a decision, because just like humans, cats need proper nutrition matching their age and energy levels. Also, take into consideration the condition of their teeth when choosing age appropriate food. When a kitten is old enough to be weaned from his mother, and he no longer requires milk for his growth, you will have to transition him to kitten food. The babies need an abundance of energy. Therefore, you must be sure the food you choose is specifically for kittens. Your kitten will need this food until he is approximately a year old. An adult cat with a normal level of activity will require a regular nutritional diet formulated specifically for adult cats. Always remember that cats need meat in their diet and a water bowl should be made available at all times for hydration. When your cat reaches the age of 7 years old, you will want to start feeding him cat food made specifically for seniors. This food is formulated to maintain the health and regulate the weight of your senior cat. Ask your veterinarian for advice and tips on the proper diet that is appropriate for your cat’s remaining years. The condition of your cat’s body is another factor to consider when choosing his food. You may need to buy special formulas for particular conditions. If your cat is in good health and carries a normal body weight then you are off to a good start, however, practicing good eating habits is something you should not lack at this point. Following the feeding guides on the food packages are not accurate so be sure to follow the instructions and guides provided to you by your cat’s vet. Don’t leave food out all day for your cat to eat whenever he wants. Make sure he gets plenty of exercises. Since a cat does not go for walks, provide him with playful toys, he can chase. A second cat for a companion to play with is also a good idea if you feel he doesn’t get enough exercise. A cat may become obese for a few reasons. One big reason for obesity is because the recommended feeding instructions on the package of pet food are not necessarily the proper requirement for your cat, but you may think it is an absolute must to feed him accordingly. If you feed him according to the package, he will more than likely become obese. An even bigger reason for obesity is making dry food available all the time, giving the cat freedom to eat whenever he wants. There are many health risks involved with obese cats. Liver disease, diabetes, and arthritis are just a few of these factors.Talk with your veterinarian about putting your cat on a healthy eating regimen. Having a slim cat can be a sign of a bigger problem such as anemia or worms. If your cat is eating but gaining no weight or if he stops eating completely, you should take him to the vet. If he doesn't like the food, you are giving him he may go on a hunger strike causing him to be too thin as well. Your veterinarian will be able to determine if he has a health issue or if he is just being finicky. I touched briefly on some of the health conditions your cat can develop due to obesity, but let’s go into more detail and explain some of these circumstances and other reasons that cause them. Your cat’s diet plays a crucial part when they suffer from diabetes. Since dry food does not provide the hydration your cat needs, it is not recommended for a cat with diabetes. Consult with your veterinarian for the proper diabetes diet for your cat. If your cat has kidney disease, you will want to be sure he gets the proper amount of water intake so, therefore, feeding him dry food will not be beneficial to him. A lower amount of proteins and phosphate is also important for his kidneys. Neither dry food nor wet food is the answer to dental problems. You can put your cat on a special dental food. However, the best way to remove plaque or other problems would be to visit your vet regularly for teeth cleaning and other dental care. Toxins, spoiled foods, food allergies, stress, and parasites can be some of the causes of gastrointestinal conditions. It is important to pay attention to expiration dates on food cans and bags. Remember that wet food spoils and can only be refrigerated for up to three days. It is important to feed your cat food that is easy to digest. Just like humans, cats can also contract food intolerances. Skin allergies and heart disease are also some other common health conditions you will want to be aware of when choosing the proper diet for your cat. Contact your veterinarian for advice if these conditions should arise in your cat. Your cat doesn’t care if he has the most expensive food or if it is homemade; he just knows that he wants something tasty and you know he should have healthy food. Taking all this into consideration and with everything discussed here, you should be able to factor in what works best for your budget and your cat. Remember that cheap is not always better, and sometimes you end up spending more in the long run. Done correctly, you should be able to feed your cat healthy without breaking the bank. Always read the ingredient label on the food. Look for taurine, water, vitamins, minerals, enzymes, fatty acids, and proteins. Do not choose foods that contain corn meal fillers, or more carbs than needed. Always take into consideration the age of your cat along with his weight and health conditions. Expiration dates are also important to notice when choosing the cat food brand. As I have mentioned, cats are “obligate” carnivores so eating meat is a mandatory nutrient in their diet. When you are choosing the right food, you will want to read the ingredients. Protein should be one of the first three ingredients listed at the top. When I say protein, I am referring to real meats listed such as turkey or chicken. Fillers or substitutes are not healthy proteins. Fillers such as corn, rice and wheat are essential in preserving both dry and wet food. However, too many preservatives can mean too many carbohydrates, and as discussed earlier, cats don’t need carbs and can, in fact, be a reason for obesity. More expensive brands of food contain less of the artificial preservatives and fillers. Foods with Omega 3 and fish provide fats needed to avoid inflammation, improves skin and coat texture, strengthens the immune system and lowers blood pressure in senior cats. Vitamins A, B3, and B6 are some of the important vitamins to look for in your cat’s food. Taurine and Arginine are two of the essential minerals needed in the food. When reading the list of ingredients be sure the cat food contains taurine. This is an essential amino acid and without this your cat can develop a taurine deficiency. This deficiency can cause blindness in cats along with tooth decay and other health issues. Contact your cat’s vet immediately if you should notice any of these symptoms beginning to develop. Natural cat food should contain all the proper nutrients your cat needs. Keep in mind that your cat will need specific meats and proteins for the appropriate fat intake, and natural foods will not contain bad carbs and fillers making this a healthier choice for your cat. Your cat will know what he likes and eventually you will know too. Cats base decisions on food texture. Some cats prefer dry over wet, and some cats have no preference at all. If it is wet he likes, he will probably enjoy chunky food containing seafood or poultry. If your cat has no preference, then try a crunchy food with a soft center flavored with salmon, tuna or chicken. Always remember that a cat can be more finicky than other pets when it comes to eating. If they don’t like what you feed them, they may go on a hunger strike for days refusing to eat. Always keep in mind that choosing the right food will depend on your cat's needs, body weight, health, and age. Cat’s can get sick from “people” food and be careful not to underfeed or overfeed. Unlike the old myth, cats do not need milk and probably shouldn’t have it at all because it is not good for their digestive system. Daily exercise is just as important for your cat’s health as the food you choose. Carefully transition them when changing their diet and know how important regular vet visits are for your cat. I hope you enjoyed this list, and you were able to get informative information from it. I know that animals are not just pets, but they are also an important part of our family and daily lives. Always know that to your cat you are everything because really, you are all he has. Love him and enjoy him as much as I love my cat. Please feel free to share your thoughts in the comment section and show your friends what you learned by sharing this article with them. Thank you for spending the time reading this. Purina kitten chow (dry) is the best, even my vet rednemmocs it. for kittens that are just learning to eat cat food, you soak it in warm (not hot) water first until soft. there used to be Purina milk formula kitten chow, if you can find that go with that gradually mix a few hard kibbles in the softened food as their teeth get stronger, until they are mostly eating hard food a diet completely made up of can food is not good for any meat eating animals teeth. the crunchy food helps to keep the teeth clean and strong. also in all this pet food scare Purina has never been implicated that i know of .yet.oh yeah there is a multi-vitamin, multi-mineral spray you can get at wal-mart a good addition to any kitty diet we had captured a litter of feral kittens (when i found them, the mother had them eating a ground squirrel) and we thought that kitten formula and mostly ground beef (raw) would be the preferred diet as they were eating raw meat already then 2 of them developed a weakness in the back legs that we couldn’t understand. we thought they were dying. we live over 100 miles round trip from the nearest vet, so we have to figure things out ourself alot of times. and a friend suggested vitamins and minerals we tried it and wow! in less than a week they were back to normal .so it never hurts to add a little to their diet, and it is a taste most of my cats beg me for. good luck with your kittens.